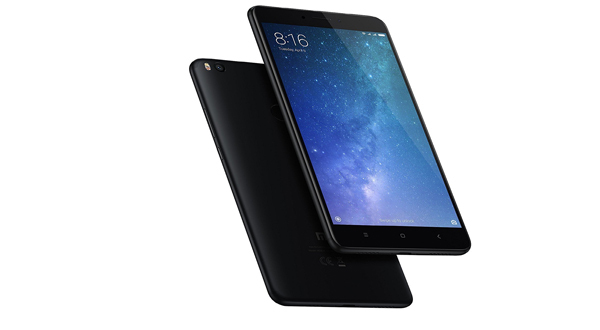 A year ago, Xiaomi had launched a good smartphone in the mid-range lineup, the Xiaomi Mi Max. And this time the company has launched the Xiaomi Mi Max 2, the successor of the Mi Max. The Xiaomi Mi Max 2 looks identical to its predecessor. The smartphone has been made up of a metal unibody which makes it look stronger and sturdy. The smartphone too possesses corning gorilla glass at the front that prevents your screen from getting scratched. The smartphone looks classy and premium in hand while carrying it. The Xiaomi Mi Max 2 possesses an earpiece at the top alongside the front facing camera and sensors. The capacitive home, recent app and back buttons can be seen below the screen and this time these keys are backlit. The rear part of the device consists of a main camera along with a flashlight and a fingerprint sensor. The Xiaomi Mi Max 2, instead of old gen micro USB, features Type-C 1.0 reversible connector which makes it look fresh. Also, the bottom part of the device possesses a microphone and a speaker around the USB port. The right side of the device consists of volume keys and power button, likewise, the left contains SIM card slot. 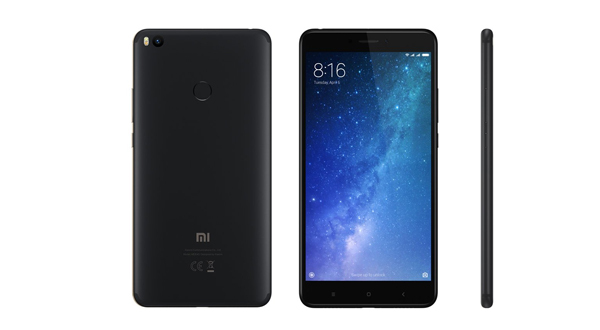 Moving towards the screen, the Xiaomi Mi Max 2 is built with 6.44 inches IPS LCD capacitive touchscreen with the resolution of 1080 x 1920 pixels which is a good thing. However, Xiaomi could have used SAMOLED panel instead of an IPS LCD panel. The screen produces vibrant colors, yet the screen is not that bright. The viewing angles, however, is good. The Xiaomi Mi Max 2 is shipped running with Android 7.1.1 Nougat. The smartphone is, further, boasted with Qualcomm MSM8953 Snapdragon 625 chipset, Octa-Core 2.0 GHz Cortex-A53 CPU and Adreno 506 GPU. These processors make your device a little bit faster which provides you good experience while playing games. Moreover, the Mi Max 2 is featured with 5 MP front facing camera which provides nice image while shooting in the daylight. However, the image starts showing noise while shooting in the lowlight condition. Besides, the Xiaomi Mi Max 2 is packed with powerful 5300 mAh battery. The device has got a nice battery backup which lets you to use for more than a day with single charge. Also, the smartphone works as a power bank, so, if your one device runs out of battery, you can charge it through your own Max 2. Further, the smartphone is provided with fast charging which charges your device from 0 to 50% in just 30 minutes. Furthermore, the Xiaomi Mi Max 2 is available in two color variants; Gold and Matte Black.